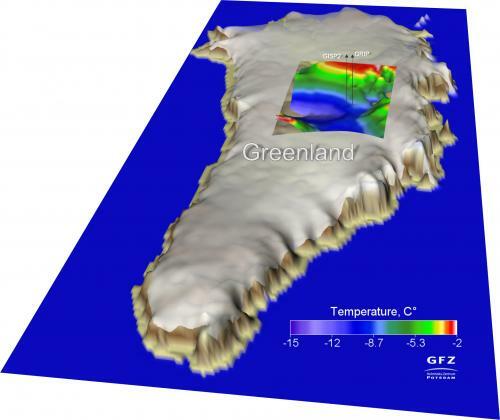 Surprise: Greenland ice gets a melt assist from Earth's hot mantle below | Watts Up With That? No you didn’t – you found numbers in your model that you are interpreting to meant this – but you haven’t actually “found” anything physical at all. Now that’s the Global Warming I’m talking about! Moreover, approaching the variables that nobody wants to acknowledge through the back door of modelling is just cheap. Let’s face it, the climate change community is so vested in the single-variable system (CO2) that it will never make the effort to see how much they need to learn about geodynamics. I expect they’ll blame it on global warming anyway! So how do they blame CO2 for the heating of the mantle? Yet the word ‘anthropogenic’ has maximum credence for current climate changes. I wonder if it is possible to “see” under the ice and look for lava flows and spent volcanoes. I am guessing it is not possible to drill 70 km and look at a core of the underlying lithosphere? The GFZ illustration as I read it shows that the warmer [temperature] is near the surface. That seems contrary to what the article is saying. Having been deep underground in a Colorado gold mine I know that was very hot compared to the surface. To me this article is puzzling in terms of it actual surface level effects in the short term. There is nothing new or surprising about this finding. I recall being in Whitehorse in the Yukon back in the 1960s when glaciologists flew in from all over the world because the Donjek glacier began surging. These are generally called “galloping glaciers”. Most often the action is attributed to increased basal slip as a layer of water forms between the ice and the bedrock, usually caused by geothermal heating. One reason this issue is avoided is because it speaks to the issue of geothermal heating as a source of energy for the global system, especially under the oceans where the crust is thinnest. This is exacerbated by the crustal warping and deformation caused by the weight of the glacier. Iceland and the Arctic are unique, there continental plates are spreading out. Magma pouring out to the surface is directly from the Mantle’s convection cell (thermal circulation all the way from outer core- liquid iron & nickel to the Earth’s surface). In most of other volcanic areas magma is product of tectonic plates subduction process, with no direct link with convection cells. first posted on WUWT one year ago, almost to a day. So what, the plates are spreading all along the mid Atlantic ridge. This finding is irrelevant when it comes to future climatic change ,which is going to be downwards in temp. due to the prolonged solar minimum . This conclusively proves that it is All George Bush’s Fault. “the warmer tee rapture” – I know what your typo intended, but I’d much rather let the modelers figure out the proper parameterization to get tee rapture right. Leif Svalgaard, is in a dream world when it comes to what is currently taken place on the sun and the future climatic implications. Leif has no regard for past history which lends support that the sun is much more variable then what he keeps trying to convey and that the solar conditions during the MAUNDER MINIMUM were very weak(aa index near 0 ,solar wind 200km/sec) and how this correlated to the very cold conditions at that time. In addition he keeps trying to down play the significance of how very very weak solar cycle 24 is and will be going forward. This flip is nothing like a normal flip and I would not be surprised (as the prolonged solar minimum continues due to angular momentum exerted by the planets on the sun, which Leif also says is not correct) that this may be the last flip , or at the very least the future flips are going to be even less pronounced then even this one. 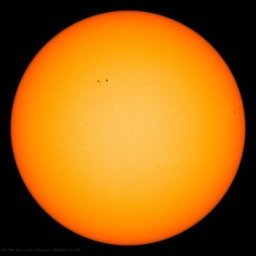 Leif, and the mainstream keep trying to play up the fact that the sun is acting the same now as it has all of last century which can not be further from the truth. This cycle could be weaker then solar cycle 5, and is much weaker then solar cycle 14 . Layman sunspot counts and graphs which are correct show this clearly to be the case. The AP index and solar flux going forward will end this debate, and as of today we have solar flux around 105 at the maximum ! It should be north of 150. Also since Oct 2005 the AP index has been extremely low and I expect sub 5 will be the rule in the not to distant future, at least post 2015. Once the solar parameters hit the levels I have been saying (see below) I list the potential secondary effects which could take place as a result. 1. solar flux sub 90 but better sub 72, less UV light less ozone more meridional atm. circulation ,more clouds,snow cover and precip.,higher albedo ,colder temp. N.H.
2. precipitation patterns changing can impact the thermohaline circulation perhaps slowing it down if precip increases substancially and adds more fresh water to the system. 3. solar wind sub 350 km/sec but better sub 300 km/sec, more cosmic rays more clouds ,higher albedo, colder temp. more geological activity especially in high latitudes.the geo magnetic field weakening of earth promoting this even more. 5. ap index 5 or lower with isolated spikes will cause the plates to be more unstable, more volcanic activity and earthquake activity. more shocks to the magnetosphere. 6. low solar in addition to being correlated with an increase in major volcanic activity and earthquakes in and around the solar minimums also can be tied to a cold pdo/amo. a cold pdo translates to more la ninas versus el ninos the result global cooling. 7. low solar activity having severe impacts to the Thermosphere and Ionopsphere. Thermosphere will contract and cool substancially during a prolonged solar minimum which will inter act with all the other layers of the atmosphere. This explanation is the ONLY explanation that can explain the many past abrupt climatic changes of the past both up and down. There are no other explanations from Milankovitch Cycles, to the Thermohaline circulation shutting down, to extra terrestrial impacts,to the sudden increases in greenhouse gases like methane or co2 etc etc. The explanation above shows how the climate could be brought to thresholds if the solar parameters change in degree of magnitude strong enough and for a period of duration long enough following a sufficient number of years of sub- solar activity in general, which no other explanation is able to show. Thresholds have to be met to flip the climate from one climatic regime to another. When the climate is in the same climatic regime changes are gradual and slow and always stay within particular boundaries. I am still waiting for alternative explanations, have yet to see one. No matter how valid the underlying geophysics, there is no way these models are validated or say anything about melting and sea level. The image shows that the hottest modeled ice is still -2C. Melt? And the image shows two basal ice sheet data points, GRIP and GISP2. Although two points suffice for a trend line, it takes a minimum of three to begin to validate that line. At least the study is better than most climate science, which seems to use only one datapoint and a theory to anchor projections. Unless it is Trenberth’s missing heat, in which case theory alone sufficed. There’s an inherent hazard in trusting or distrusting “models” that is often ignored in all the sciences. Looking at the preview there are several important facts that help determine the reliability of the results and are important. The chief one is how the “Curie point” or transition point depth is estimated. It is estimated from data collected by measuring regional magnetic field strength. Since hotter materials will have weaker magnet field strengths, and will lose magnetic field below the transition, you can estimate depth below surface of the transition point if you have a good idea of the mineralogy involved, since a cold hunk of the rock can retain a magnetic field of a strength limited by the mineralogy of the rock. If you have the mineralogy, you can also provide a good estimate of thermal conductivity in the regional crust. The essential conclusion of the article is that current climate models dealing with the ice sheets are too simple, which sceptics have been arguing all along. Are you saying “virtually no ice” anywhere in Greenland, or only along the southeastern coastline where the to settlements were established, as I has always understood the case to be? George Bush’s Fault. Is that some place where the Pacific and North American plates collide? Below is Co2 Science’s comment and quotes from the full paper I presume. Salvatore Del Prete (10:01 am) exactly what has this extended whinge about your dislike of Dr. Svalgaard got to do with geothermal modelling? It looks like that they can live together. Doubt the models, as usual but there’s high probability that we’ll see a “study” soon claiming the warming of the underlying rock is somehow influenced by CO2. Pseudo-scientists, alarmists, and agenda-driven people will use every forum they can to peddle their nonsense [on topic or not]; there has already been a couple of comments of this ilk on this very thread – expect more. We have seen this theme in many posts on WUWT, as well as elsewhere. I’ve wondered for a long time about how we could model ocean heat content without a good accounting of the number and size of undersea heat sources. I used to work as an IT contractor for NOAA on the Integrated Ocean Observing System effort (IOOS). As conferences came and went, I’d ask our academic and government experts if anyone had a good accounting of such heat sources. ‘Never found anyone who knew of any existing global tracking of such things. Since then, from time to time, we hear that there are undersea volcanoes in the undersea ridges running up into the Arctic. And, they are active. ‘Shouldn’t be a surprise, should it? Now, we hear that underground heat might be effecting on top of ground ice? Amazing! The fact that these enormous pieces of this global heat exchange system are so completely unknown means that our global climate models don’t stand a pico-glacier’s chance in hell of being useful. I’m surprised by all the negative comments. What this study says is that the amount of melting blamed on CO2 by climate models is too high. Their “model” isn’t a model in the same sense that the climate models are, and the output has a correlation to actual temperature variations that seems rather accurate (based on the claims in the abstract). So a study comes out showing that CO2 is NOT to blame and everyone jumps on it because it has the word “model” in it. I don’t dislike Leif at all. I do however think there is a great need to educate the public at large that there are many sides to this climate puzzle besides the opinions of the likes of Leif and the theory of AGW. Both of which I feel strongly are not correct and in the case of the AGW theory, it is based on complete utter falsehoods, ranging from no lower troposheric hot spot, to the atmospheric circulation becoming more meridional rather then zonal,from the lack of any temp. rise for 17 years, to the lack of any pronounced stratospheric cooling, to the lack of more El Ninos, just to highlight a few of the many items this theory has based itself on that have failed to take place. occur. But I have nothing against Leif , and wish him well. The red dots are volcanoes. You do, however, not educate the public in any way, just hijack threads to peddle your personal unsubstantiated opinion. This article about Greenland is a non issue, and the last I heard the Greenland Ice Sheet was well intact, and like the Arctic Sea Ice will not be going away. Just another ploy to to advance the hoax of AGW. Leif just because I don’t agree with you (as do many others) does not mean that we have no basis for our opinions. I can name many who have the same basic beliefs as I do. Just to name a few,look below. Leif is wrongly trying to make it seem like I am the only one, which is not true in the least. I sent it twice ,thought it did not go through the first time. We don’t need to worry about bottom melt adding to sea level. Greenland’s interior is bowl shaped, with the ground level in the area of the study depressed 200+ meters below sea level. A list of people who agree with you is meaningless. If that were a valid criteria, then the climate debate would be over. When asked to substantiate his assertions, Leif provides the data to do so. All I hear from you is yammering. ‘We’ ? So you are the spokesman of a motley crew of believers? Some of those people hardly count as knowledgeable people and I suspect some will object to be recruited into your cult of like-minded. The study seem to show a phenomenon that has been going on for millions of years, and if so, then it is no short term value in re the near term (out to 2100ad) climate debate. Climate ignorati may say otherwise but they live in a separate bull-silliness reality. Leif provdes the data but does not know how to look at it properly. Many of us view the same data and reach entirely different conclusions. If however you think otherwise and want to follow someone follow him, since it looks like you made up your mind he can do no wrong,and what ever he says is correct and there is NO room for divergent opinions. @Sal – as AGW has shown us, you can look at any data and support your conclusion. However the object is not to support your conclusion. The object of studying data is to see where it leads, not where you want to lead it. David, it is also to premature to say who is correct and who is not. David one last thing, it REMAINS to be seen if my data and thoughts will pan out,since the parameters(the data) I called for and duration of time have yet to take place,although I think they will as this decade proceeds. I made no claim in this regard. Regardless of which one proves out over time, a great number of people will claim they knew it all along and were “right”. Most of them will be right for the wrong reasons. As for your data, you haven’t presented any, either to refute Leif’s position or to support your own. Reason has never prevented such inanity before. Try hard enough and anything can be linked to global warming. We’re talking a belief system here, not science. Back in 2008 we had a similar surprise way south. ……Scientists have just now discovered an active volcano under the Antarctic ice that “creates melt-water that lubricates the base of the ice sheet and increases the flow towards the sea”. I thought the red dots were those pesky Greenlander’s SUV’s…. slightly o/t.one of the arguments i provided in a long debate with a member of the skeptical science team on a non climate related forum centred around the lack of knowledge on just how many active underwater volcanoes there were and their contribution to co2 emissions. i was assured the volcanoes and their emissions were all documented and taken into account. when i questioned this i was told it was fact. it was news to me we have now documented every square metre of the sea bed. Assuming the Greenland sheet to be in equilibrium with the steep geothermal gradient (maybe/maybe not), only changes in the geothermal gradient would be relevant to growth or decay of the ice sheet. Is my thinking off on this? >Iceland and the Arctic are unique, there continental plates are spreading out. All continental plates are spreading out all the time. And all oceanic plates too. All this wondering this and wondering that. It is no coincidence that nearby Iceland, built from material flowing out of the Mid-Atlantic Ridge, is entirely a volcanic island and has fantastic volcanoes and hot springs. Iceland land surface is continually growing by accretion of offshore volcanoes. It keeps their surveyors busy mapping new land. It is one of the few places on earth where one has volcanic eruption under ice. The flat-topped volcanoes called tuyas are a result of this and are an interesting sight there. We’ve been recently treated to several “surprising” discoveries of active undersea volcanoes in a line going north of Iceland passing near Svalbaard and all the way up to 85N. Why would we think a feature that goes down the mid-Atlantic all the way past the southern tips of Africa and South America would not extend a few hundred km more north. In fact these are surprise new discoveries for non-geologists. I see this kind of knowledge “new” to climatologists all the time. Learning by doing can be rewarding but to report on it the way they do makes asses out of themselves. Here even Wiki has something on it. These egghead institutes should call up the geology department of a nearby university, first. Really? So the Earth’s surface is growing? I love this thread, i am always learning new things. The article is about Greenland and wiki has no info on volcanoes there. Here is a nice profile of the temperature of the Greenland glacier from top-to-bottom at the Summit (GISP2) site. At the bottom of the ice in most of Greenland, the temperature is around -2.4C, which is just enough to melt the ice given the additional pressure of the ice above. The ice temperature is a balance of the “memory” of when the snow fell at -35C for example, got buried and is now deeper versus the heat coming up from the bedrock below. This means that throughout Greenland, they can’t really resolve any ice older than 115,000 years ago because it has mostly melted already and/or is too distorted to get an accurate age estimate. The new NEEM ice core from northern Greenland, however, was just slightly colder at -3.0C and has allowed ice core data back to 130,000 years ago. [just a personal comment about this temperature profile. It is used in borehole thermodynamic modelling to estimate the temperatures that might have existed at the surface when the snow fell. This model is then applied to the dO18 isotope data to arrive at the temperature history in Greenland going back to 130,000 years ago. I think this methodology is faulty. It comes up with a change in temperature from the last glacial maximum in Greenland of 25C while the global temperature change was only 5C. Antarctica is only 10C (given a realistic polar amplification factor of 2 times). I don’t believe polar amplification in Greenland is 5 times and this borehole thermometry modelling has led to incorrect estimates about Greenland’s temperature history. And this means it applies to the GISP2 temperature charts which you may have seen on the internet. Cut the temperature change by 2.5 times to reflect the real temperature in Greenland or cut it by 5 times to reflect the global temperature reality. Just a personal comment that a few other scientists agree with (as in all those assessing Antarctica ice cores) but most Greenland ice core scientists don’t agree with]. >Really? So the Earth’s surface is growing? 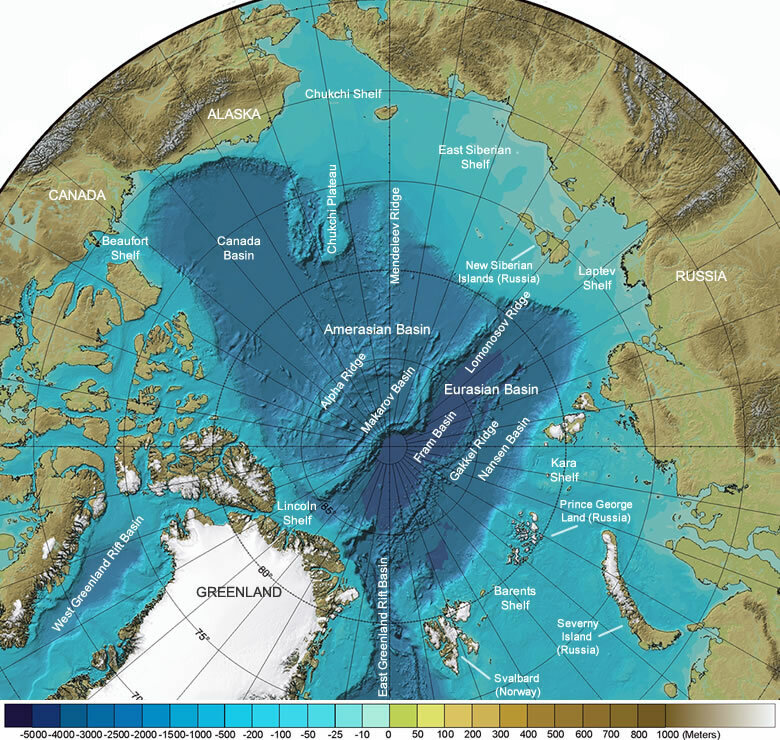 The current climate is influenced by processes that go far back into the history of Earth: the Greenland lithosphere is 2.8 to 1.7 billion years old and is only about 70 to 80 kilometers thick under Central Greenland. It remains to be explored why it is so exceptionally thin. Isn’t it obvious? Without the ocean’s buffering mechanisms, the elevated atmospheric CO₂ and the sulfurous emissions from coal-burning North American power plants have combined for catastrophic Glacier Acidification! The meltwater under the icecap must have eaten away the lithosphere! And now that the lithosphere is so dangerously thin, Vuk’s graphs can now show an upcoming solar disturbance could rupture the crust under Greenland, leading to rapid icecap loss and Cataclysmic Global Flooding. Hansen may have been right, burning all that coal may have been a bad thing after all. what evidence do we have that the heat flux from the lithosphere has changed? In any case, crustal heat flow doesn’t vary over time scales less than millenia. Whatever heat is coming up from under Greenland has been doing so throughout the last several glacial/interglacial cycles. There is no applicability to changes in melting over decades or even centuries. Why is there no East-West subduction margins to balance the plate spreading of the Antarctic plate from South America to Africa? Is the Earth deforming into a split pear? If you know, could you answer a question that no one has yet or any research binge has revealed: Why is there no East-West subduction margins to balance the plate spreading of the Antarctic plate from South America to Africa? The Americas are, indeed, for now intruding into the Pacific Ocean floor. What happens next is anybody’s guess. Here is one such guess http://www.youtube.com/watch?v=uGcDed4xVD4 the Pacific seems to get the upper hand, and in 250 million years all continents might be collected in one large landmass, as has happened about 8 times over the history of the Earth. Also, if you look at the floor of the Arctic one can see three ridges; a very pronounced one, Lomonosov, is 1800 km and i assume dormant. This suggests that that the top of the world has been spreading for a very long time. The gakkel ridge is the active one. Where is the subduction to conserve the spreading. If i could have afforded to go to University i would have wanted a time generous prof like you. Over the long haul all the plates will collect in a super landmass, then drift apart again, then collect, the split, then collect, then split, etc, so any specific tendency in one of the splittings will not survive into the next and all will wash.
You are welcome. Education is my pleasure and the internet [when you filter out all the nonsense] is a great tool for this. Do we have evidence that it is constant? This is an interesting article about the centre of the Earth. You are a scholar, teacher & gentleman for you patience. The video is fun, but its misuse of “era” for “period” & “epoch” is annoying. But it’s also possible that Atlantic seafloor spreading will stop & possibly reverse, leading to a replay of Pangaea. But in any case, Baja California & Alta California south of Point Reyes will in about 50 million years be a very scenic, long island off the coast of the Pacific Northwest. Viewing of the Perseids spoiled locally by a thunderstorm tonight. Darn global warming! I mean climate change! I mean greedy humans! I’m so glad you posted (esp. 10:59AM). I thought the same thing. Whether it intends to or not, the article refutes human-CO2 global warming. That would make it an article to applaud or at least give a little nod to, not to boo and hiss at. Glad someone else thought the same (and someone much more well-versed in science than I). I’m so sorry about the accident. God does whatever he pleases. He allowed a jerk to use his free will to ram into you. He has, nevertheless, promised to “work all things together for good for them who love Him… .” (Romans 8:28). You may hate God, but I love Him. I will keep on praying for you. In fact, I just prayed that He will give you a Chevy Suburban (in good condition, incl. AC and a nice step for your mom to help her get inside) to replace the Jeep. Lest this little note embarrass you, I pray for lots of WUWT people (no need to feel I’m trying to be too friendly, I mean). And I won’t write notes like this anymore to you. Well, take care, back there (lol, I thought you were in S. Cal or Texas!). Leif is far from perfect. He’s a stubborn conservative of 20th century science who has no time for ideas that have been recently evidenced better than the older or more conventional theories. He’s the most knowledgable prof on solar oberservation I know of who is highly active in our community, but his models are outdated. Knowledge without correct interpretation is way short of understanding. Here, wrt geology models he’s just grabed with blith faith the flawed current mainstream theory and I expect he’ll give it his full unquestioning support. Someone who does that has no business in science, but he should get a job with the church. Well here’s a vid that does some weighing up evidence which conventional continental drift theory can’t explain. I’m so sorry about the accident. God does whatever he pleases. He allowed a jerk to use his free will to ram into you. It is a prerequisite for the exercise of free will to allow others to be acted upon. This ain’t a holodeck simulation. You may hate God, but I love Him. Janice, I have lived a strange life, with large amounts of forced accidental spirituality. I could go on for several pages of what has happened, of what I have rationally and logically come to accept, by the preponderance of evidence that was not documented, is not reproducible, but which I know was real. And this is not the place for it. So let me say instead, that a young moron needed a wake-up lesson, I was available and could be in the right place, at the right time, in the right vehicle. And while I had plans to go elsewhere, I was there then. The lesson was taught, I am merely temporarily inconvenienced, there were no serious injuries or deaths, as there could have been with a different vehicle, and perhaps a different driver with possibly passengers. I don’t mind doing my part when called. I could no more hate God than I could hate the global atmosphere. I am surrounded, sustained, it is within me as I dwell within it, as I willingly breathe it in and into my being. I would perish without it. The analogy breaks down when I will inevitably be done with wearing the flesh, and I will be joined with only one for the transition. Personally I don’t mind, the management and other patrons of this fine establishment may think otherwise. In fact, I just prayed that He will give you a Chevy Suburban (in good condition, incl. AC and a nice step for your mom to help her get inside) to replace the Jeep. On further examination, the gas tank wasn’t what was hit. That’s the spare tire well, which is now so pushed in the spare sticks up, the cover panel inside won’t sit flat to the floor. Frankly, I would consider buying a vehicle like that, and just pound out the well and live with the torn-up bumper plastic, for maybe a third of the cost. As it is, the Jeep is drivable, it will be fixed on his insurance. Which is the best case possible, as I’d rather not get a rental even if his insurance is paying for it. As I’d have to get the rental insurance, as I don’t have collision/comprehensive, thus I’m not covered if I damage the rental, and I would pay for the rental insurance, not him. BTW, are you watching the national news? The mystery of the priest who showed up at the car wreck, said comforting things, then disappeared into thin air without appearing on virtually all of the photos, has been solved. He’s come forward, his name is Dowling. And so goes another Father Dowling Mystery. You should use quotes or a blockquote format to indicate what you copied from the Internet. Thanks for responding at 4:42AM, K. D. Knoebel.